It was probably the worth conclusion of a cursed season. After asking two of my friends (Paolo, from Italy, and Eric, from Belgium!) to come and take some pictures with their professional equipment for my last match with the Parsons Green shirt, the match was cancelled. It was cancelled because only 4 players were available. The rest of the team? I don't know. Maybe because of the bank holiday (a suicidal decision by the league, to play this game at this stage) or for personal reasons 12 players couldn't make it. Personally, it never happened to me. This is the first time that I lose a match without playing, the first time in 22 years since I started playing league games. Yes, it leaves a sour taste, but the whole season has been a problem. Many players left in the first weeks, some lost their interest after Ken, our manager, died in March. Still, I felt sorry for my friends, dragged from their beds on a chilly Sunday morning to take picture of the goodbye match that never was. The only good thing came from Scott Goddard, who gave me a VHS tape with the last match from the winning 2002/2003 season. It was my first league championship ever, after ending 2nd and 3rd so many times in the past. You can see a short clip in the video below. It was a nice, but somehow sad, memory trip. In the past 2-3 years the team changed so much that from the original winning team I joined in September 2001 only few faces were still familiar. But hey, this is normal for any football team. A cycle end, another re-opens. I guess for the past 2 years Parsons Green lived in a sort of transitional state, with a winning past and an uncertain future. Maybe with some more luck (we finished 3rd in the past 2 seasons, missing the promotion for few points) and a little more commitment things could have improved but it's too late for regrets now. Next year the team will be renamed and will join a different league. No more Parsons Green then. No matter what, I'll always keep the team close to my heart. After all, I found the team before finding a job or learning to speak proper English. They accepted a foreign players (they've never had many...), an Italian, who played football like an Englishman, with passion and violence, ready to tackle and challenge everyone who happened to cross his path. I left so much blood on those Sunday mornings and so many scars are still with me that it will be difficult to forget those matches. 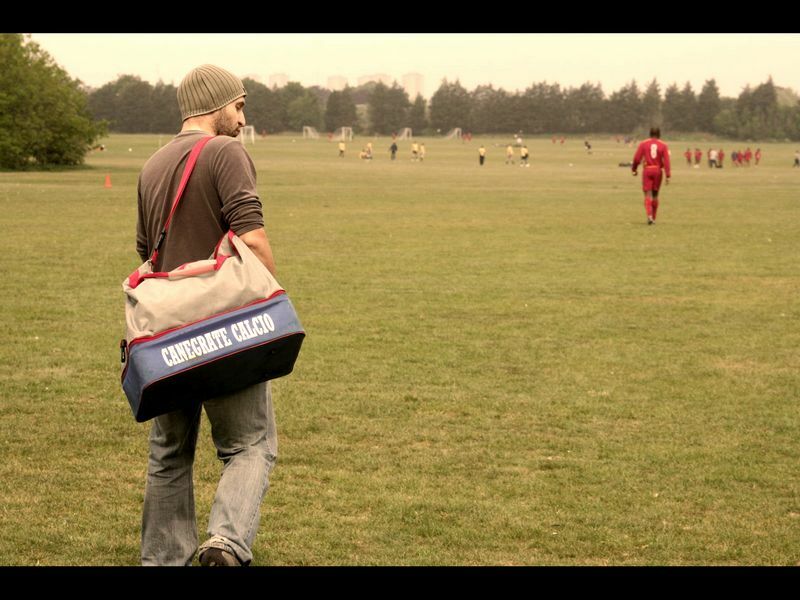 I still remember my first game: they played me in the only available position, left back. 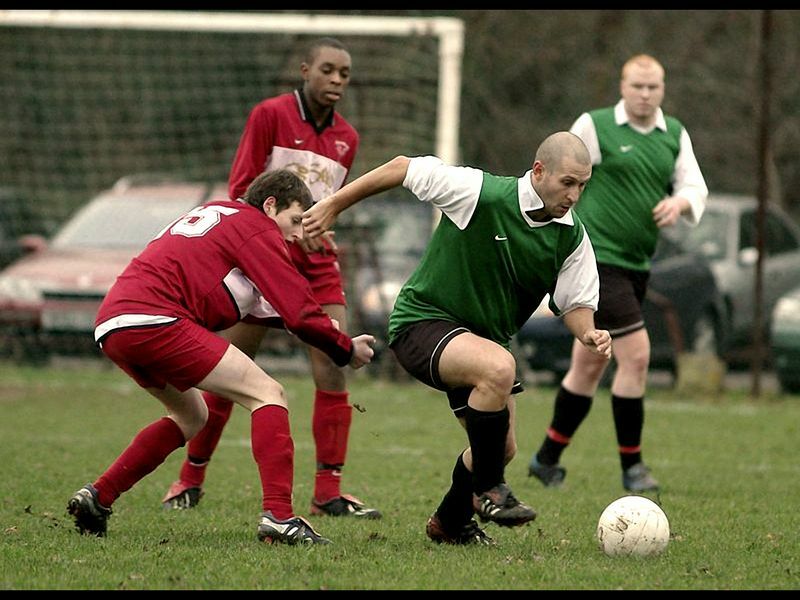 I never played in that position before; I've always played midfield (and up front some years ago), mainly drifting on the right. But hey, I've always considered myself versatile and I can use both feet, so adjusting to the new position didn't take long. I still remember that game, we won 4-0, nobody could pass me and I showed my insane determination in the game. Few games in the season and I was in the starting 11. I still remember what the original website said about me "Olaf Olgiati, looks like Daniel Radcliffe , runs like Paula Radcliffe " (this was before miss Radcliffe stopped and pissed during a marathon). I played for so many years on that left side, with David Andrew in front of me, and I moved in other positions to cover missing players. I met great guys, even if some of them punched me, with a lot of passion for the game. We got promoted twice in a row, winning a league, and showing a better game than most of the teams we played. 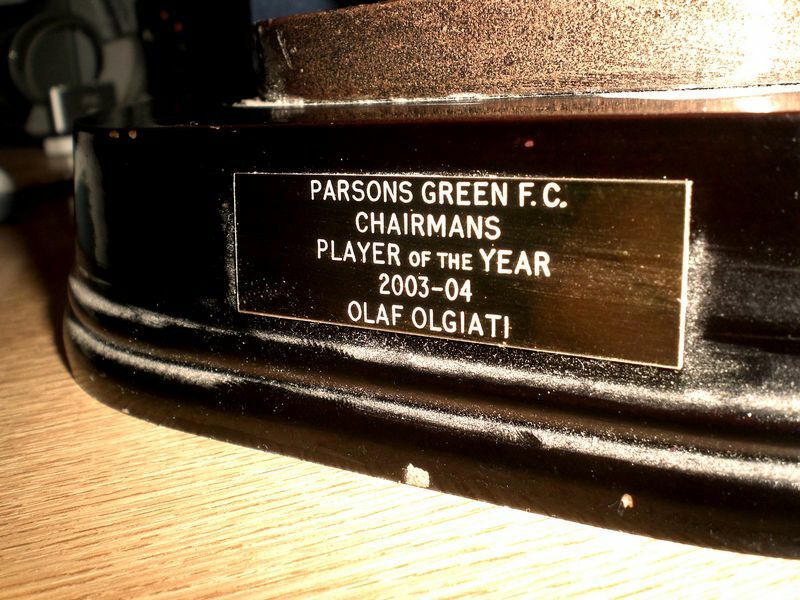 I've played 105 games (scoring 7 goals, mainly from the distance), never got booked thanks to my "oh my so so sorry I kicked you and left you paralyzed" smile, won twice the chairman's player of the year and captained the team in many occasions, before I broke my leg in a tackle. I came back from injuries every time. I played with blood pouring of arms, mouth or legs, I played with stitches still fresh from the hospital, and I played few months later after breaking my ankle. You see, whoever didn’t know me would tell you that I was a bit mad, but this is not madness, this is just passion for the game. The sort of passion that makes you bound with a team, with players sharing the love of the game, training hard and waking up on Sundays to play in impossible weather on impossible pitches. I'm going to miss the team, but it is time to move on, time to new challenges, this time in South Africa. As a goodbye present I've edited a short video with all the memories I could find on my computer. I don't have many pictures from the first years, but I think that the result shows what Parsons Green meant for me. Enjoy, and thank you again boys.